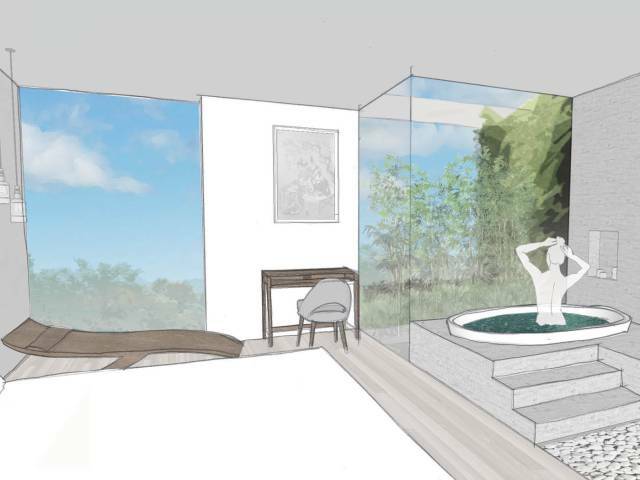 Baca have commenced designs for a new eco-friendly hotel and spa resort in South Yorkshire. The Tyram Lakes Hotel and Spa will offer a unique luxury experience where visitors get back to nature in a resort that will minimize its impact on the environment. The hotel is being considered with several site-specific renewable power and heat generation systems and will be 70% off grid. The resort will form a completely closed water system without connection to mains water. The hotel provides 104 luxury rooms, fine dining restaurant, conferencing and meeting facilities, pool, superior spa and state-of-the-art gym, and picturesque party and wedding venue. Suites and a top floor bar provide panoramic views of the lakes and countryside beyond. Conferencing in the countryside will be a perfect space to free the mind and think those big ideas. The spa will feature an outdoor, and indoor swimming pool, six treatment rooms, and deep relaxation spaces. Guests will also be able to enjoy wild swimming in the lake.